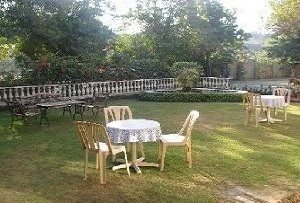 Located in the heart of the city, Ram Niwas Bagh exhibits great natural beauty through its lush green patches. 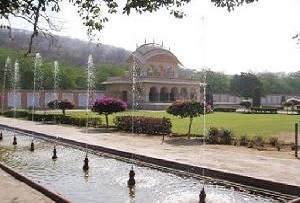 Renowned as one the major tourist attractions in Jaipur, Ram Niwas Bagh was built by Maharaja Sawai Ram Singh in the 19th century. From that time, the exotic garden had been subjected to numerous new introductions, adding to its elegance and charm. Despite the sprawling green scenery, the majestic structures in the vicinity of the garden, built over the successive years, are definitely gripping. The impressive Albert Hall Museum at Ram Niwas Bagh is one such eye catcher. Built in an Indo-Sarcenic architectural style, the museum amazingly houses a huge collection of artifacts like marble statues, sculptures and miniature paintings. Not just for history lovers, Ram Niwas Bagh also has the illustrious Zoological garden, which is a prime spot for the tourists interested in Botany. 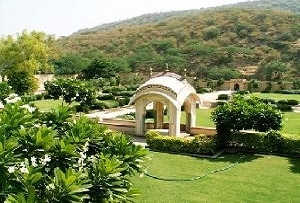 Easily commutable from all parts of Jaipur, Ram Niwas Bagh is surely a must visit. After spending a nice evening in the beautiful Ram Niwas Bagh, one can always head for some local shopping in the nearby Bapu Bazaar. 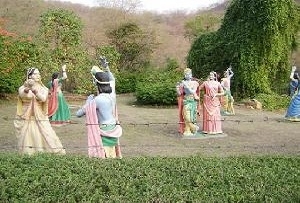 Besides the Bazaar, shopping in the numerous malls is also counted as one of the best things to do near Ram Niwas Bagh.